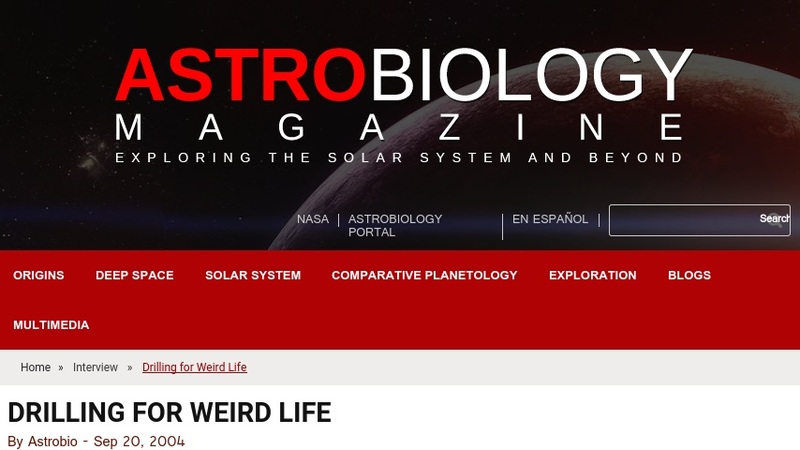 This magazine article introduces the Mars Analog Research and Technology Experiment (MARTE). Featuring an interview with NASA scientist Carol Stoker, the article describes Rio Tinto, a river in Spain with highly acidic water the color or red wine, and explains why scientists are looking to the subsurface pyrite deposits near this river's edge for signs of microbial life. Stoker describes the field site and discusses some of the research team's early results. This is the first of a four-part interview series. The resource includes images from Rio Tinto and the Mars project, links to related web sites, and an MP3 Audio Machine text-to-speech option.